Welcome to Dearborn, the city where Muslims are free to assault Christians, where hate messages abound, where Christians are arrested for holding discussions on public streets, where police harass and bully Christians who try to distribute copies of the Gospel. Leading the charge for Sharia in Dearborn is Police Chief Ronald Haddad, who refuses to return our illegally seized video cameras. As of this posting, it's been two and a half weeks since Haddad's officers stole thousands of dollars worth of video equipment, and more than two weeks since he was informed that his actions were illegal. There's been no response from Haddad yet. Please help me publicize his campaign against the Constitution. IF only the media were willing to pick up a story like this. No one in my town has heard of this on the news, or in a newspaper. Those who do know find it on a blog. I doubt our media will ever have interest in portraying any rights infringed upon as long as they are Christian rights. I have been keeping tabs on this issue via your blog, website and through speaking with Abdu Murray, with whom I attend church, who was also at the festival this year and last. I'm keeping my opinion on this matter to myself for now, but I am helping to spread the word. I am praying that God keeps you humble throughout this process and that justice will be served. A little much on the sarcasm, I know that is criticism when you are in such a unjust situation. Right on! Right on! Right on! You came out with both guns blazing and hit a bull's eye. Hope you don't mind I am putting this ine on my blog. I also downloading this before the dhimmies at Youtube remove it. I just for the record I saw what happened the cops were violating the rights of the Dearborn four. the ones were were threating people it was not David or Nabeel. Nabeel was having a peacful conversation when the cops arrested him. I WILL STATE THIS IN COURT BEFORE ANY MSGESTRATE. After this video, I have a feeling; those confiscated video cameras will appear outside David's apartment tomorrow morning. Regarding the incident where some Christians were handing out the Gospel of John outside the festival: Is there not a law that says that you can't hand out material within five blocks of the festival? Weren't you breaking the law at that point? Why do you think it's so wrong that the police made you guys stop if it's the law? It didn't look like they were "harassing and bullying". I'm shocked that you just said this. Yes, police made a rule saying we were not allowed to distribute materials within five blocks of the festival. (I said this in our video.) When we tried to distribute copies of the Gospel, we were not aware of this rule. When we were informed of the rule, we complied. However, all of this is quite separate from whether the rule is fair or Constitutional. The Arab festival takes place on public property, and the area where we were going to hand out the Gospel was public property. 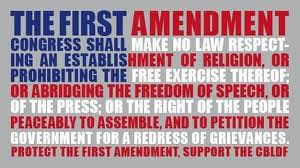 The First Amendment is protected on public property. It seems you're thinking, "Well, there's a rule, so what's the problem?" Do you really believe this? This wasn't a rule two years ago. It wasn't a rule until Muslims started complaining about Christians distributing tracts and DVDs at the festival. And are you okay with the five block rule? What if they say ten blocks? What if they declare that no Christians are allowed to distribute anything in Dearborn ever again? Would you still say, "Well, there's a rule, so what are you complaining about?" Then there's your comment about bullying. Do you really think it was necessary to send eight police officers armed with clubs and Glocks to confront three Christians armed with copies of the Gospel of John? Couldn't one or two officers have approached them and said, "Sorry guys, you can't hand those out here"? Did they need to take us into custody? Did they need to confiscate our camera (I wasn't distributing anything)? How can you not see this as an intimidation tactic? Do you really not see a problem here??? i do it all the time.... if people dont want what your selling, giving, or sharing.....then you've done your job in the eyes of G-D..... "go and spread the "GOSPEL"....each according to his/her capacity...... that is what we will all be judged on..... not through confrontation...whether it be physical, verbal, or challenging to see whom is better. Is your conclusion based on evidence? If so, could you provide the evidence? If not, do you really think it's okay to criticize someone without evidence? Please read how the godly Apostle Paul handled his arrest and mistreatment at the hands of Roman authorities. You will discover some powerful insights that will help you understand how believers should respond when they are unjustly persecuted for sharing their faith. Dear brother, don't take the way of the world. Mocking, snide remarks and veiled threats (I'll see you in court) are carnel weapons... this is the way of the world. But the weapons of our warfare are not carnel(see 2 Cor.10:3). Prayer, fasting, the Word of God, good works... these are God's weapons that defeat the enemy of our soul. I challenge you brother to post another video calling on those who support you (like me) to pray for Chief Haddad and the other police officers envolved (see I Tim. 2:2). This will demonstrate to an unbelieving world that we understand God has placed Chief Haddad in authority and he is a minister of God for our good(Rom 13:1-4). GAP what does handing out pamphlets outside the festival grounds have to do with David and Crew being arrested? They were not arrested for handing out material outside the festival. That was the next day. They were arrested for simply speaking to those that came up to them. So your point is mute. I was with David and Sam this weekend at ISNA. And I can testify that they only spoke to those who came up to them. They were civil and polite. They were not caring signs or a bull horn... etc... All things I have seen others do for other reasons on the street. As a mater of fact there was a preacher in the crowd who was deliberately being offensive. Sam and David separated themselves from that individual. So your objection is a moot point since they were not handing out material either inside or outside the festival, they were only speaking to those that approached them, and video taping in plane site so ease dropping laws do not apply. David Great video well said, I am shocked and offended that they did that to sister Nageen, outraged is a better word. I hope you get those video feeds. Also I hope your lawyer approved that video, you are in a legal battle now you need to follow the advice of council. You dont want to become a marked man anymore then you already are, as if that would be possible. Is there no legal way to get the police to return your cameras immediately? A court order, maybe??? You're not a journalist. Just another guy with a camera looking for trouble. You don't get to call yourself a journalist just for publishing on a website. I understand now. Thanks for clarifying, David. Steve said: "You're not a journalist. Just another guy with a camera looking for trouble. You don't get to call yourself a journalist just for publishing on a website." I guess you missed the part about my TV show on ABN. Where can we write to protest the illegal and ill-founded arrest of these christians. I am horrified at this news. We should assemble a massive protest in front of the Police Department and demand for Chief Haddad's resignation immediately!He framed these christians to justify incarceration. What kind of a chief is this. He is corrupt. This is America, not any Islamic country to practice Sharia Law. Who the hell does he think he is in this free country? I think it's time for America to stand up for freedom in this country. Let's raise our voices now or we'll be sorry tomorrow that we failed to do so. What did Paul say? In short, he said, "Do you really think you're going to get away with this? I'll see you in court." And you refer to Paul's gracious treatment of the Romans who wronged him. I'm confused again. When the authorities beat Paul and Silas and threw them into prison, the authorities later gave them permission to leave. Paul responded: “They have beaten us publicly, uncondemned, men who are Roman citizens, and have thrown us into prison; and do they now throw us out secretly? No! Let them come themselves and take us out” (Acts 16:37). Why didn't Paul leave quietly, instead of making a scene and forcing the leaders to apologize? My brother, please do not read modern Christian ways back into the Bible. Modern Christian ways just don't fit. For those who think Davud and Nabeel should roll over and allow the Islamization of a festival or any event think again. Is tge city of Dearborn to be governed by Sharaih or the cibstittion. The question is what laws did the Dearborn Fiur violate? Why were not those who were threatening Nabeel arrested also if this was a breach of the peace? Please tell me. 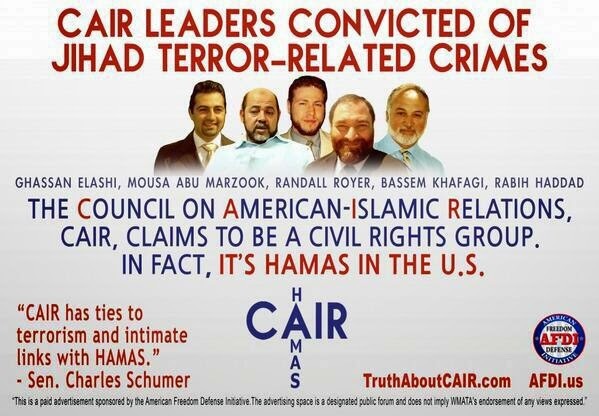 Si far from what I have seen those who are blaming the Dearborn Four for tis were not there. I was and I saw what happened. "See you in court Chief." Fox did a brief and quite sympathetic interview with David Wood and his lawyer. I am impressed by David Wood. He is not a ravenous, snarling, drooling bigot, but someone who asks the right questions in a respectful manner. Everyday our way of life and our ability to live peacefully in this world is being eroded. Unfortunately much of that erosion is being accomplished by our own government and our own citizens. 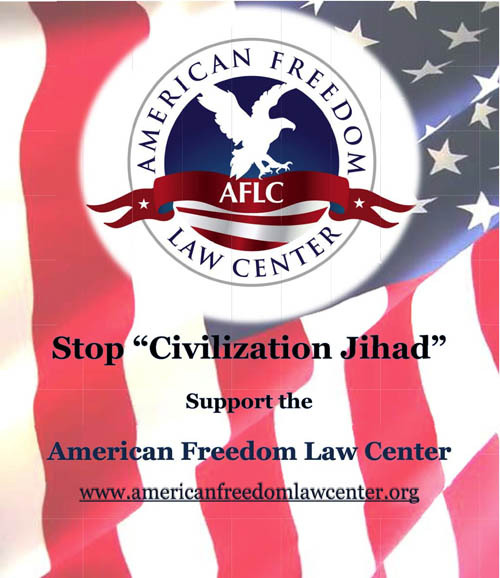 Our constitution is being trampled by our government and its attempts at being "PC". When you say something like that many people explode in anger and resort to name calling e.g...racist and bigot. SO untrue! I have had and still have friends of every race and religion (including Muslims). I love and respect them all. We are ALL Gods children. I have voted for Democrats, the Republicans, and Independents and have been disappointed by them all. However when one groups attempts to gain dominance, and vies for preferential treatment above all others, then I do protest. As a native New Yorker, the bombing of the World Trade Center seemed like a nightmare straight from hell; but it did occur, we were attacked on our own soil and more lives were lost at Ground Zero then were lost at Pearl Harbor. Wouldn't Americans back in the late 1940's and early 1950's have vigorously protested a memorial to Japanese soldiers being placed at Pearl Harbor? Such an attempt would have been laughable. Yet New York City allows a mosque, and a large mosque at that to be erected in such close proximity to Ground Zero? We need to stop being politically correct, and start standing up for our rights. We must also vigorously protest when those rights are being trampled upon. I believe Benjamin Franklin said it best,..."God forbid we should ever be twenty years without such a rebellion. 1. You set up a straw man. I never referred to Paul treating those who mistreated him graciously. When he did defend himself he was confident and knew his rights as a Roman citizen... but he was not ARROGANT. Nor did he taunt or mock his oppressors. Sadly this is the tone of your video. 2. You have ignored the other passages in my blog that refer to loving your enemy, praying, and doing good to those who persecute you. Brother this is God's way. It will heap burning coals upon their head. They don't expect it. What they expect is a video that publically berates them. 3. Will you now post a video applying the clear teachings of the Lord Jesus and the Apostles to your situation. Call on those of us who support you to pray, fast, and claim God's promises on your behalf. Ask us to intercede for you and the others involved that God will grant you His favor and wisdom. In this I will joyfully and faithfully join you in prayer. Great job brother. You truly said it all in this video. Job well done. It couldn't have been more clear. You keep doing what your doing and don't let these condescending comments from satan get you down. You don't look for trouble...it definitely comes to you. They had no RIGHT to arrest you. Christians only are hated. If you just mention you are a Christian in a room full of people they will probably 9 times out of 10 look at you like you just murdered someone...lol but thats ok.
Jesus is worthy for us to go to the ends of the earth for... praise His Name...forever and ever amen. I agree with the heart and spirit of what "CharacterBuilder" has to say to David and the others who were wrongly arrested. However, I will state for the record that, I WAS AN EYEWITNESS to what happened that Friday night and our brothers did nothing wrong! If need be I will testify in court to the truth of what happened. I too was hassled, harrassed, verbally insulted with vile language for two days as I preached with a Gospel banner....and I was in the designated area! Stay strong brothers and sister. We can all BE IN MUCH PRAYER that God will use this as He does to expose evil and call some to Salvation In Jesus! For His Name's Sake. characterbuilder is a nihilist. One who has no clue about islam or our Christian history of resisting its relentless onslaught. "You're not a journalist. Just another guy with a camera looking for trouble. You don't get to call yourself a journalist just for publishing on a website." This comment here is a regressive progressive. He probably spent $40,000 dollars for his journalism degree to be a future bobblehead on msnbc. Hemingway was a journalist before journalism school existed. I'm sure 'Steve' is quite happy about the FTC looking into regulating the journalists out there. Because Big Brother always tells the truth ;-). Ok bud. Individual Independence is the Christian Spirit. btw... I call this story major league journalism. And by your very elitist attitude, you must be an OIC operative. You are doing the right thing, both as a Gospel loving Christian and a freedom loving American. Thank you David, Nabeel, Negeen, and Paul for defending my Constitutional rights. I really can't thank all of you enough. I added a link to your video "Of mosques and men"(now MORE than 2 MILLION have seen it,in only 6 weeks! ),a link also to "Sharia in the US"(almost 2 million views in 1 year),a link to Pamela Geller's online petition to stop the mosque near Ground Zero, plus more. I am outraged at how Negeen was treated,it makes me sick, and your video is right on.I hope justice is done. There seems to be some that feel that David is not acting Christlike with this video. The simple facts are his civil rights were violated. This is not a matter of how a Christian should behave with a personal attack or persecution. It's a matter of abiding by the law and requesting and demanding others abide by the law as well. What would you do if you were pulled over for speeding if you were truly going below the speed limit? Would you smile at the police officer and happily pay the penalty, or would you stand up for your legal rights? What would you do if someone stole your property and you knew who it was? Would you request legal action or simply smile and say, "no problem, that's okay... I will pray for you, thief."? I doubt it. This is no different. Van Grungy said: "characterbuilder is a nihilist"
No, he's a good guy. But we disagree on some things (and that's okay in Christianity). AFSHAN AZAD is a 22 year-old Muslim actress.She has starred in 4 HARRY POTTER movies as Padma.She lived with her family. She has a boyfriend and a few days ago her FATHER and BROTHER tried to KILL her in the house. It is news around the world.What they don't tell you(intentionally?ignorance?who knows)is that it is because her boyfriend is a HINDU.They also don't say (intentionally? )that it is a case of attempted HONOR KILLING. They also don't say(ignorance? )that why they were angry was because in Islam,in the Koran a MUSLIM woman can NOT marry a NON-MUSLIM. OCTAVIA NASR,the Senior Editor of Mideast Affairs of CNN recently praised SAYYED FADLALLAH,a Shiah cleric who died recently. He frequently approved of killing Israeli civiliana,denied the Holocaust. An uproar ensued but in her reply she does NOT apologize for her opinion.Hmmm.Why doesn't CNN fire her? If a white or even non-white CNN reporter had praised a RACIST public figure he/she would have been fired quickly.So goes the world. Christians cannot condone demon possession. Dearborn appears to be very much possessed of an unclean spirit. Yet I see "well-intended" 'believers' here who seem to want to allow the demon-possession to fester. Jesus of Nazareth didn't condone demon possession or disease or sin. He confronted them with all the power at His disposal. Where Jesus encountered disease, He cleansed those who sought His help. Dearborn does not appear to be interested in being healed of its revolting sickness. Where Jesus met repentance, He forgave sin. I do not see repentance being demonstated on the part of Dearborn. Where Jesus met arrogance, He rebuked that arrogance - just as the arrogance of Dearborn must be rebuked. Where Jesus was welcomed, He brought hope and renewal. In Dearborn, there appears to be pitifully little interest in hope and renewal. To me, there appears to be no judgementalism in what you have tried to do for Dearborn (righteous outrage, yes - judgementalism, no). Where I see the Judgment of the Lord God is in the disrespectful and dhimmified behavior of the public officials of Dearborn: it may be already too late to save that particular Gomorrah from fire and brimstone (the sword of Islam) but thank you for trying! God's judgement may already be on them. May God have mercy on us all! The point I'm trying to make is that Jesus of Nazareth was and is VERY confrontational. He confronts my sin and calls me out of it. The Acts 17 Ministers - serving as Jesus' hands and feet and voice of love - did their best to gently call Dearborn out of its sin. Acts 17 was met with a response akin to the response from the men of Sodom. Dearborn is currently either too intimidated or too self-satisfied to respond to the claim of Christ Jesus being made through Acts 17. Kyrie Eleison! Christe Eleison! Let us all pray that it's not too late for Dearborn. Where are the Congressional representatives? Where are our Senators? Where is the thundering from pulpits all over America? Thank you for NOT letting go of this! I know you didn't want this job but THANK YOU for answering the call of Christ Jesus who sends Christians to indentify and rebuke the demons that would make this existence a living hell. Father in Heaven, we plead the Blood of Jesus over Dearborn, MI and over the Missionaries of Acts 17 who minister there. Father, enable us! Embolden us! Lord Jesus, in-DWELL us with Your Love and YOUR power. Have mercy on our complacency and on our lack of vision and on our lack of urgency. Deliver us, Precious Lord, from apathy and unwillingness. Thine be all glory, Beloved Heavenly Father! In the precious Name of our only hope, Christ Jesus - AMEN! How did the ISNA go, anything interesting happened? Great. Good defiance. Entirely warranted. About the statement, "See you in court, chief," when does the lawsuit get filed against Chief Haddad and the Dearborn PD for all of this, including seizing the cameras? David, I don't know if you guys are innocent or guilty in this situation. As I've said before, I'm going to withhold judgement until al the facts come out, which will include release of the video tapes. That being said, the people on here who are telling you not to be too mean, or to be loving, or to be gentle are full of it, in my opinion. You are a human being. Human beings react harshly when they believe they have been treated unfairly, whether they truly have been unfairly or not. You are expressing your anger and dismay at a controversial situation. Did you come off as maybe a little obnoxious? Possibly, but I would have been the same way if I were in your situation. But you didn't use profanity or threaten Chief Haddad. Again, you're reacting as a normal human being would react in this situation. One of the many reasons why I got fed up with the evangelical/fundamentalist Christian lifestyle was because you're told that in a lot of ways, acting like a human being is a sin. It started to drive me crazy. To the people on here who saying David's reaction needs to be this or needs to be that. If you were in his position, whether you were guilty as charged or not, I'm willing to bet that you would be acting the same way. Are you really going to tell me you wouldn't? Tom, give me a break, because everyone knows there are NO evangelical Christians in Dearborn. You odviously get a different news service to me here in sunny Australia. FYI: our news services did in fact carry the information that her brother and father were arrested for attempting to "honor" kill this lovely lass. they also did report that in fact they tried to kill her for dating a hindu, which according to the brother would have brought a massive amount of shame upon their family and an insult to islam, which he was simply trying to restore the honor of. Firther to that information (as its probably not been reported where you are by the sounds), the brother was interviewed and stated that he regreted the situation because, "now whenever she goes to premiers or screenings of movies she wont be asked about the movie, she will be asked about the attack, which will show islam in a bad light". Note please the only thing he was unhappy about is that islam will be exposed, not the fact that he and his father tried to assault her or kill her. tipical filth of islamic teachings. Suggestion for you Minora, try logging into some Australian media services, I use yahoo7 myself as it seems to be pretty open on this. Also this week on "a current affair" which is a nightly programme they interviewed an islamist trying to distroy democracy in Australia, he was unable and refused to answer questions put to him by the interviewer, just kept up with no answer islamists retoric. Here are some video's I took on my cell phone that I put on youtube. Do people in the U.S.A need the permission of the subjects in their video/Audio productions in order to post them in any type of public media? If you are actually right, then why are you so afraid of comments that could show how wrong you are? The only reason that I could think of is if you have something to hide, something that could prove your point wrong. This is extremely one sided. Andreas said: "Do people in the U.S.A need the permission of the subjects in their video/Audio productions in order to post them in any type of public media?" Andreas said: "If you are actually right, then why are you so afraid of comments that could show how wrong you are? The only reason that I could think of is if you have something to hide, something that could prove your point wrong. This is extremely one sided." Yes, we're obviously terrified of comments. That's why we've allowed dozens of them. In fact, we're so frightened of comments, I'm officially blocking you from making anymore ridiculous comments. Thank you for the tip.I am glad people are more honest down there. Latest news is than OCTAVIA NASR was fired from CNN for praising a terrorist supporter. She HAD HER CHANCE.In her reply she could have said she condemned the man in the strongest terms.She didn't. Now Paul William's Blogging Theology is posting rather silly articles against David Wood from loonwatch(2 of them). I know the site loonwatch.They censor info that goes against their arguments.They have censored me several times. (REALITY CHECK:they are secretly anti-human rights,it is easy to see). All the same I sent a comment that RAUF the guy in charge of the Cordoba House,TWICE refused to condemn HAMAS. I wrote that Hamas APPROVES of the killing of 3,000 people in 9/11.He is not sincere when he says it will honor the victims.Will the comment be posted?I doubt it. I had posted a similar comment in the Spanish-language forum and it was rejected. Wow! David, I don't know what to say. The story about the Nageen is unbelievable. What a shame. The BIBLE says : "Be ready to give an answer to those who ask for the hope that is within you." My fellow Christians - we are given a green light for apologetics. Don't think that just inviting someone to church will do the trick. We need to be able to know what we believe and share it with others. Simple! David, I hope you guys get your stuff soon. I can't believe this is happening in America. It's like something you'll only see in the movies. # The troubles that these Acts 17 people have recently experienced at the Dearborn Arab festival are due to the city's reaction to the video Acts 17 posted on Youtube last year at this time, and the rather antagonistic way they conducted themselves while filming. That video, which was seen by millions of viewers, painted the city and the Muslim community in a very negative and UNTRUE light by distorting the facts and ignoring the activities of other Christians who freely do evangelism at the very same festival without trouble from the authorities, and also at many other places throughout the year. I am one of those other Christians. I have never had a problem like that. Ever. # Thus, these Acts 17 people make it seem like they are being harassed and controlled by the police simply because "they are Christians" doing evangelism at a largely Muslim-attended festival in a part of the city where "shariah law" (Muslim law) is in force. This is simply not the case. If shariah laws were in place then no other Christians would be allowed to distribute evangelistic literature either. But there were and have been allowed for 14 years. Other Christian groups from the local community and from out-of-state were simultaneously distributing Christian literature from authorized booths in the Artisan tent, of which David Wood from Acts 17 made no mention whatsoever. # A Christian person or group may wish to challenge attempts by authorities to curtail or prohibit open-air evangelism and literature distribution where they feel it is constitutionally protected. It may be true that the activities of Acts 17 protected as such. But in my opinion, the fact that the authorities have taken steps to control evangelism is not due to shariah law per se, but owing to the nature of those in authority to want to contain or eliminate evangelism of any nature. I believe that other Christian groups experience similar controls by the authorities at other festivals and public places throughout the nation where there is barely any Muslim presence at all. Jews for Jesus, for example, regularly experiences this kind of thing from the police wherever they do evangelism wherever they do it, because, in general, Americans don't like to be evangelized. So we American Christians who are intent on doing more "vigourous" forms of "public-square" evangelism should expect to encounter this kind of reaction anywhere and be willing to be arrested for the sake of the gospel. But we must not do evangelism in hopes of being arrested. I ran across an excellent article from an evangelist that lives in Dearborn and has been evangelizing without incident there for over a decade. Obviously, his account is vastly different that of Acts 17, which is probably because he does actual evangelism and not just for a few seconds when he's on camera. Police accused of enforcing Islamic law at Dearborn Arab Festival: "Officers arrested four Christian missionaries and illegally confiscated their video cameras, which were recording the events surrounding their arrests." Commentary regarding the arrests of Acts 17 personnel at the Arab Festival. 1. First, it seems to me that Americans who are not Christians practicing active public evangelism should not be concerned by this because it does not affect them. It should only concern Christians that practice evangelism and value the freedom to do so. 2. Having said that, these particular Christians from Acts 17 come from out-of-state and have a particular M.O. They have little regard for the Christians who live here year-round and who freely do evangelism in the Muslim community without any troubles of this nature whatsoever, such as myself. 6. Therefore, it seems to me and others that Acts 17 wants to paint this distorted picture that Dearborn is under shariah law, when in fact, this is not the case. The tactics of Acts 17 have only served to attract this kind of negative attention to themselves so they can say, "See, shariah law is in force in America!" Thus, they have exacerbated the situation and have made things more difficult for other Christians doing authorized evangelism at the festival. Shariah law may well be taking root in some places in the West and America (and perhaps it is in Dearborn's future), but for the present time this is an unfair representation being propagated by those who would use evangelism as a weapon. In any case, I suspect that public evangelism will be outlawed by American secularists first. Let us not be alarmed by these alarmist reports that bend the truth beyond recognition. S.R.C. "If possible, so far as it depends on you, live peaceably with all." The troubles that these Acts 17 people have recently experienced at the Dearborn Arab festival are due to the city's reaction to the video Acts 17 posted on Youtube last year at this time, and the rather antagonistic way they conducted themselves while filming. That video, which was seen by millions of viewers, painted the city and the Muslim community in a very negative and UNTRUE light by distorting the facts and ignoring the activities of other Christians who freely do evangelism at the very same festival without trouble from the authorities, and also at many other places throughout the year. I am one of those other Christians. I have never had a problem like that. Ever. Thus, these Acts 17 people make it seem like they are being harassed and controlled by the police simply because "they are Christians" doing evangelism at a largely Muslim-attended festival in a part of the city where "shariah law" (Muslim law) is in force. This is simply not the case. If shariah laws were in place then no other Christians would be allowed to distribute evangelistic literature either. But there were and have been allowed for 14 years. Other Christian groups from the local community and from out-of-state were simultaneously distributing Christian literature from authorized booths in the Artisan tent, of which David Wood from Acts 17 made no mention whatsoever. A Christian person or group may wish to challenge attempts by authorities to curtail or prohibit open-air evangelism and literature distribution where they feel it is constitutionally protected. It may be true that the activities of Acts 17 protected as such. But in my opinion, the fact that the authorities have taken steps to control evangelism is not due to shariah law per se, but owing to the nature of those in authority to want to contain or eliminate evangelism of any nature. I believe that other Christian groups experience similar controls by the authorities at other festivals and public places throughout the nation where there is barely any Muslim presence at all. Jews for Jesus, for example, regularly experiences this kind of thing from the police wherever they do evangelism wherever they do it, because, in general, Americans don't like to be evangelized. So we American Christians who are intent on doing more "vigourous" forms of "public-square" evangelism should expect to encounter this kind of reaction anywhere and be willing to be arrested for the sake of the gospel. But we must not do evangelism in hopes of being arrested. Or the fact that dozens of other people were handing out gospel tracts and openly evangelizing at the festival without incident. I doubt it, then he couldn't use this to raise his profile and money for Acts 17. The truth sure can be annoying sometimes, it seems. Van Grungy said, "characterbuilder is a nihilist. One who has no clue about islam or our Christian history of resisting its relentless onslaught." Instead of attacking me personally... why don't you try answering the comments on my blogs. Fernando said: "I thought you were more like 'Dr.' James White and his position off 'all who do not agree withe me ain't Christian.'" Fernando, I don't think this is an accurate representation of James White. True, James wouldn't regard, say, Mormons as Christians (and neither would I), but he doesn't regard everyone who disagrees with him as non-Christian. For instance, even though James disagrees with Arminians, he considers them brothers in Christ. In other words, there's a big difference between "Person X is wrong on issue Y" and "Person X is not a Christian." I would prefer not to be slaughtered by Muslims. However, more importantly, I wish to stand before the Lord Jesus as uncompromising concerning the truth. Haddad and Pilate are cut from the same cloth. 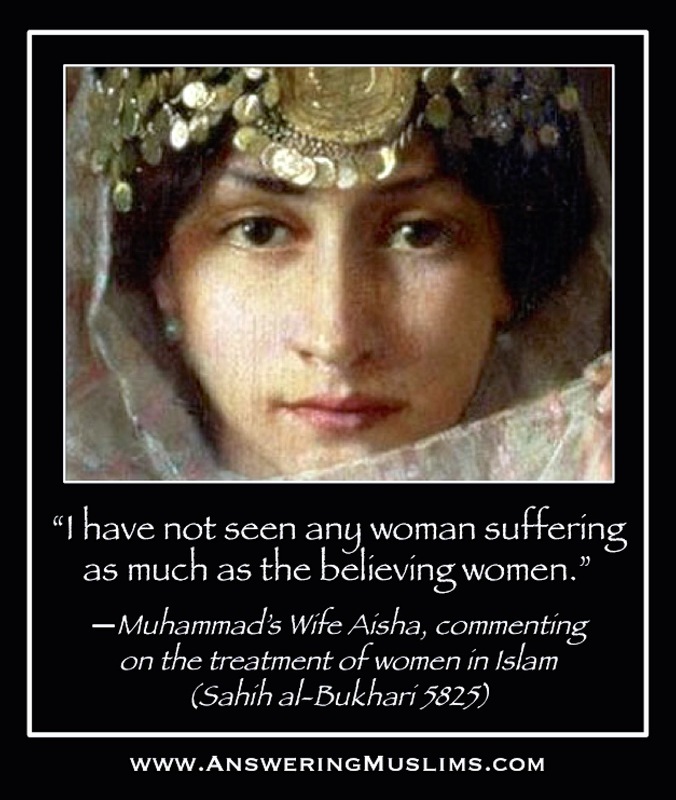 I appreciate Nonie Darwish, and I see Sharia as a curse. Why should I respect Haddad as he carries out the Devil's work? "I also wonder if David Wood ever plans to mention that a local Christian evangelist has two sons who work are officers with the Dearborn police department(yes, Sharia law, please)"
It doesn't matter if every single officer in Dearborn is the son of a Christian evangelist. That would not prevent the police chief from giving orders that line up with Sharia, and wouldn't prevent officers from acting as a quasi "Sharia task force". "Or the fact that dozens of other people were handing out gospel tracts and openly evangelizing at the festival without incident." Again, this is irrelevant. Four Christians arrested, and four citizens having their Constitutional right violated is four to many. These are really empty and illogical assertions you are making. "I doubt it, then he couldn't use this to raise his profile and money for Acts 17." I hope the video footage that was confiscated gets released soon. That would hopefully show how all the accusations being hurled against you four are patently false, and how all of this is just a concerted attempt to keep the Gospel out of Dearborn. Also, hearing how Negeen was treated by the police officers is simply disgusting. You do NOT force an 18 year old girl to strip in front of several adult male police officers and make crass remarks about her looks. Those thugs need to be punished for what they did. I have watched all the videos and read all the articles on this story. I have also read the Dearborn Police Chief's statement. Now I ask What Did You Expect? Did you notice you were in the police chief HADDAD's area. Did you really think he was going to be neutral? You were not in the wrong you accepted a phamplet not pass any out. It's a no win situation unless the court stands firm to the law and the constitution. I have respect for you and for what you are doing. Standing up for Liberty and Freedom which was paid for by the lives of the Revolution. Shameful what the police did. What will this country be like if we don't stand up now. Don't forget to pray for these Muslims and Police. Leave no room for satan to grap hold. Thank you for your courage to stand against this tyrannical religion and the fact that the chief of police is following Sharia Law in our country, should be terrifying every single feminist, gay, and every single non-muslim in the country!